Having a baby when you are HIV positive can give rise to some complicated feelings, especially when it comes to making decisions about what to feed your baby. 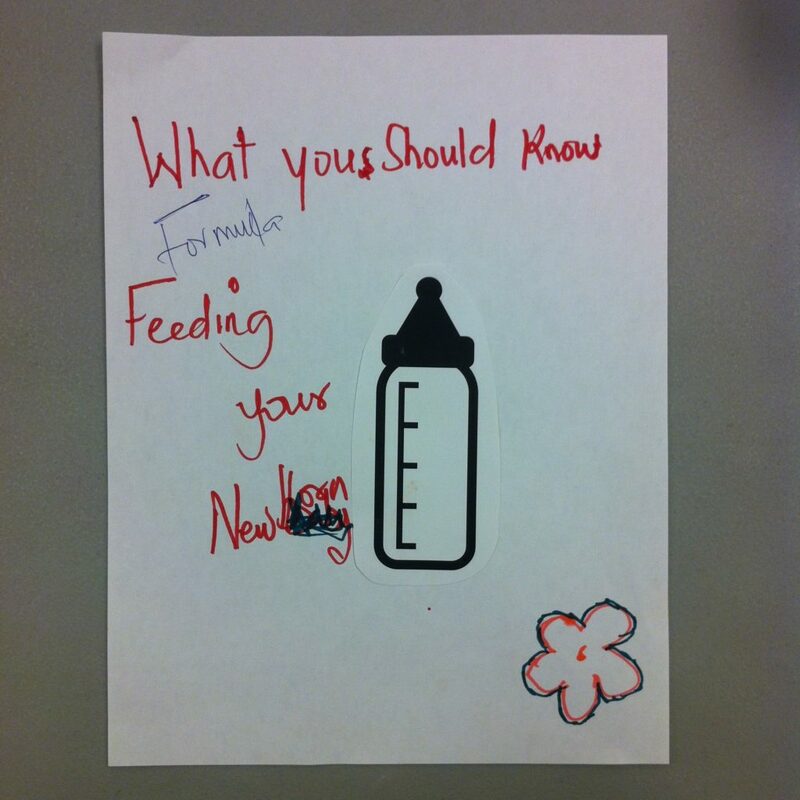 In Canada, doctors and public health experts agree that breast/chestfeeding increases the risk of HIV transmission and recommend feeding the baby formula. However, many of us have heard that breast/chestfeeding is healthier than infant formula. This can cause confusion as well as a sense of shame and stigma. 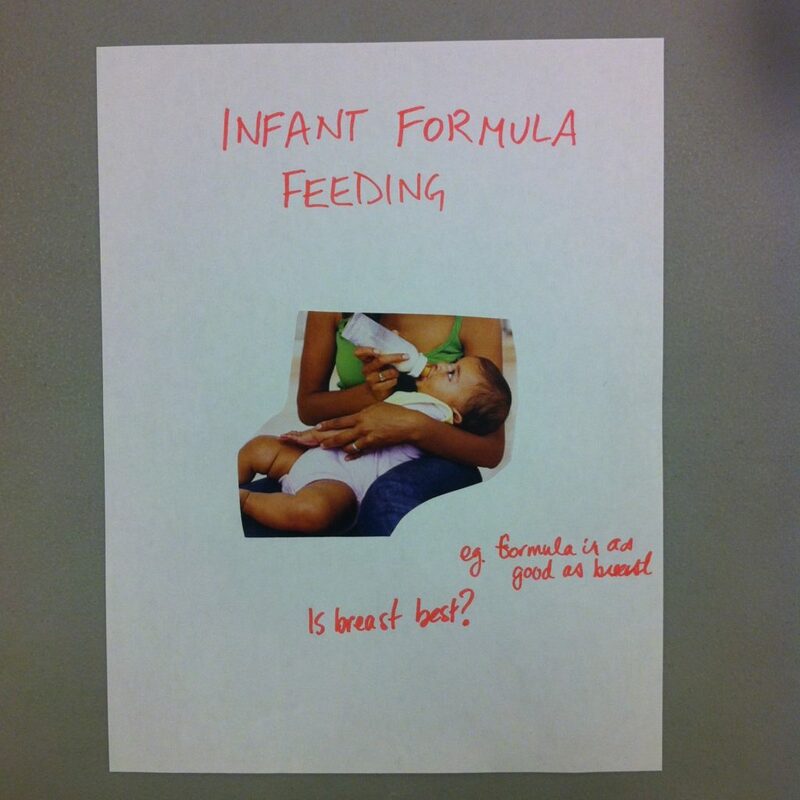 And Also Too was asked by CATIE to design a resource that would clear up the confusion, address the negative feelings that formula feeding can evoke, and point to resources that could offer support. The resource needed to do this in a way that is non-stigmatizing, trust-building, attractive, and memorable. We sat down with the Teresa Group’s New Moms Group and together we looked at existing resources for HIV positive mothers. The initial intention was to discuss their opinions of the images, styles, and colours. However the participants wanted to go much deeper. They wanted to talk about their relationships to these resources. The women spoke about having feelings of stigma and shame upon learning of their positive HIV status, and later experienced guilt and anxiety about being pregnant. Some had tested positively for HIV at the same time they tested positively for pregnancy. Resources about pregnancy were often packaged with other HIV/AIDS information, making it difficult to think about the baby’s health without raising feelings about the mother’s HIV status. Collage is an incredibly powerful form of self expression. It is far less intimidating than drawing, and it allows creators to re–mix the pieces of a current story into an entirely new narrative. 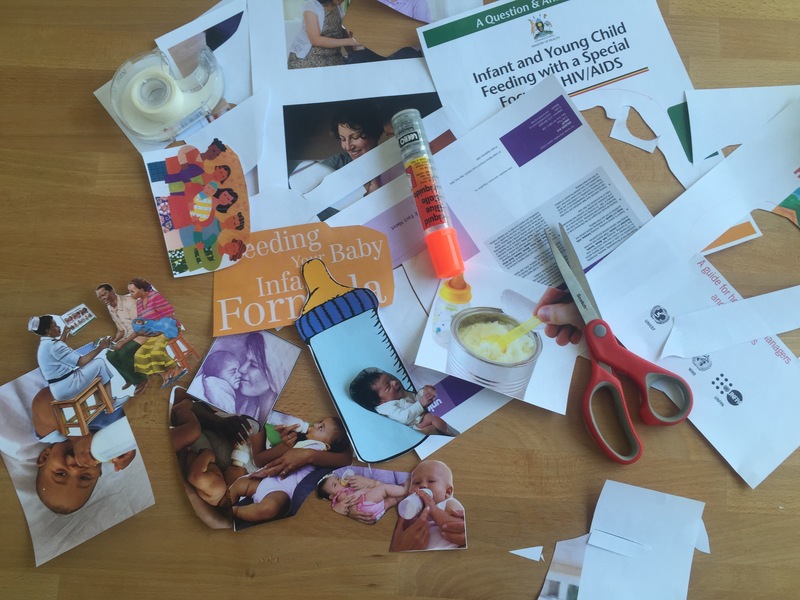 The participants were asked to cut out and remix images and text from the resources we’d just discussed to design a cover for our infant feeding publication. As we cut and pasted, we talked about what kind of resource the participants wanted. They told us it should be discreet so they could comfortably read it in public without inadvertently disclosing their HIV status. They were tired of seeing starving and sad babies symbolizing associated with HIV – their own babies were happy, healthy and chubby. They wanted other HIV positive parents to know that their babies would be okay. 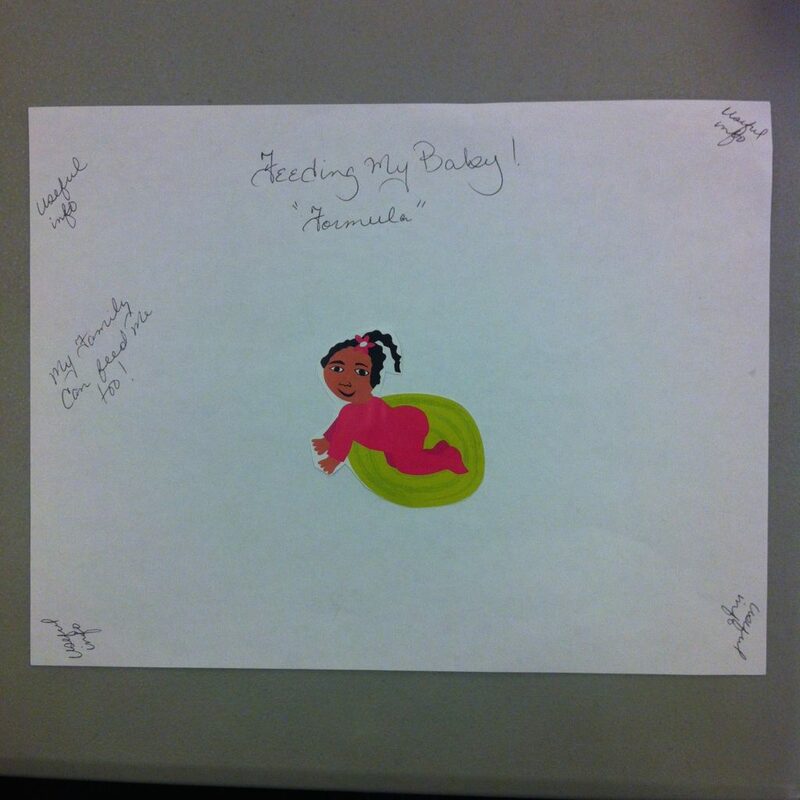 Unlike the resources we looked at, most of the collages that the participants created featured only babies, they had cut the parents out. They wanted the imagery to focus on a healthy, happy, chubby baby (which is what the women were most concerned with) rather than a mother (which is what the public health experts were most concerned with). Instead of using fear and guilt to persuade, the participants were thinking aspirationally. 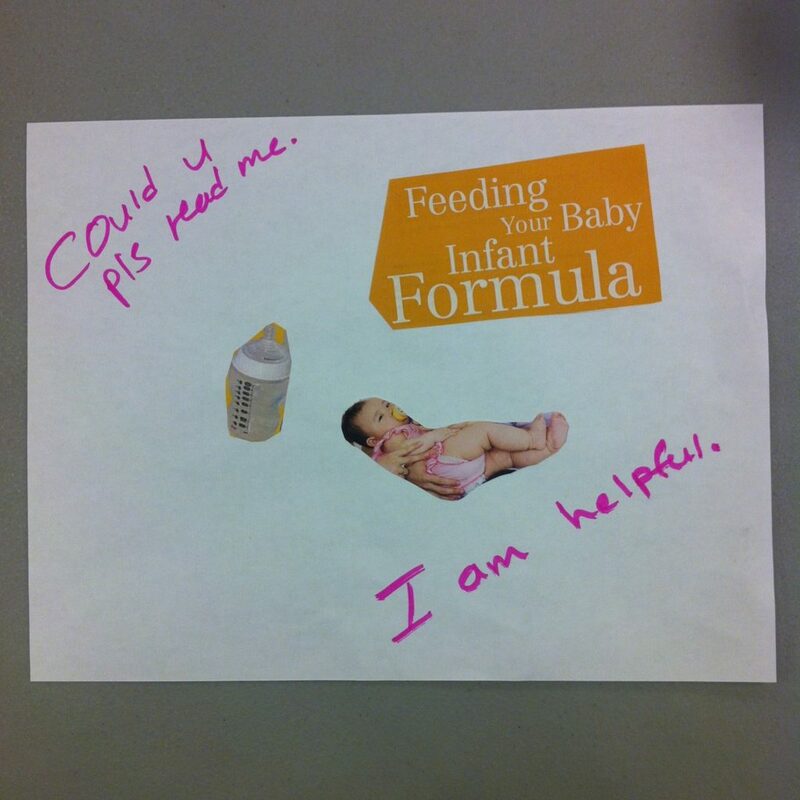 They wanted to say that you can raise a healthy baby on formula. They focused on growth, health, and potential rather than HIV transmission. They also wanted the resource to speak to an HIV negative audience. By framing HIV status as just one of many reasons why a parent might choose to formula feed, they hoped the publication would address stigma around formula feeding. 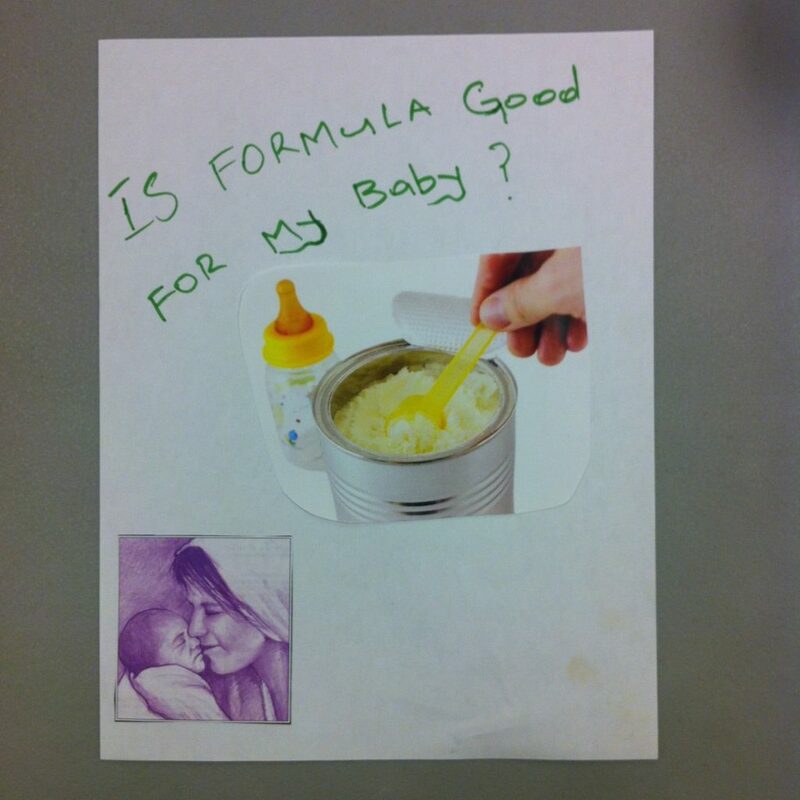 One of the participants titled her collage “Is Formula Good For My Baby? ” The response was unanimous – that would be the title of the resource. The working title had been “Feeding your baby when you’re HIV positive: do you have all the facts?” The title captured simply and beautifully what expectant parents who are HIV positive want to know.